This post is sponsored by Mezzetta®. 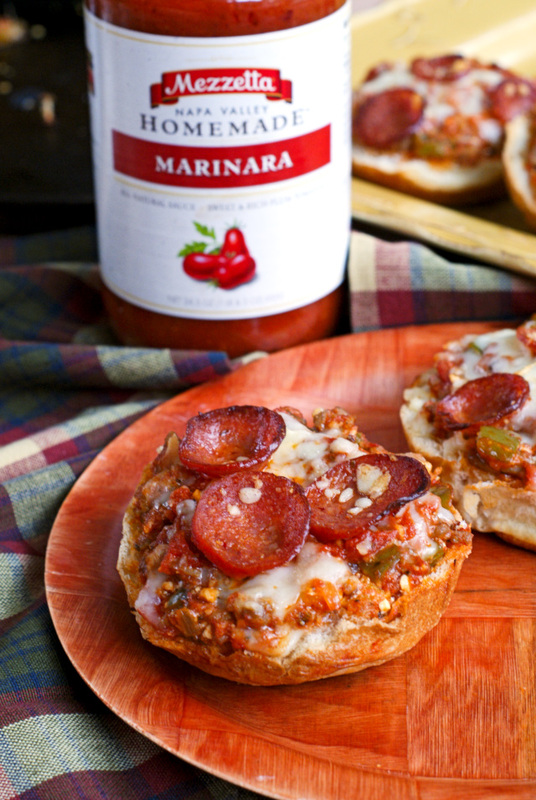 Meat Lover's Stuffed Pizza Bread is made with Mezzetta Napa Valley Homemade Pasta Sauce, Italian sausage, pepperoni, and three cheeses baked in crusty bread. My husband and I had a rare moment of quiet this morning on the back porch as the kids slept in later than usual. We sipped our coffee and talked about this and that. It's not often that we get to enjoy the peace of a quiet morning with two kids in the house. I enjoyed it immensely. One of the things that came up while we were chatting was how the weather is beginning to change. It will be warm here in Florida for a while still, but we could feel a difference in the air. Are you ready? Because it's coming. Fall is on the horizon. Fall brings a change in our menu. As the weather cools, we turn to comfort food and hearty meals to fill our bellies. I have been making an effort to fill our menu plan with quick and easy meals, which means less time for mommy in the kitchen and more time together as a family around the dinner table. As a mom to two littles, it's my job to focus on expediting our evening routine so that everyone is well fed, clean, and tucked into bed at a decent hour. Italian dishes are always a family favorite of ours and a go-to when it comes to easy recipes for weeknights. One dish my mom always chose to make when we were kids was pizza bread. She would slice a loaf of Italian bread in half and then top it with pasta sauce and all of our favorite pizza toppings. It was simple, rustic, and absolutely delicious. 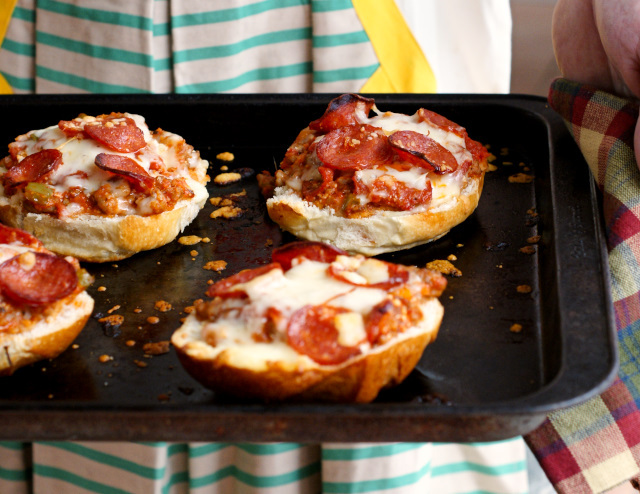 This recipe is a spin on my Mom's pizza bread. It is made on round french bread rolls instead of loaves, but you could use either. Aside from all of the meaty goodness of a meat lover's pizza, which was the theme of my pizza bread, my favorite part of the recipe was the sauce! 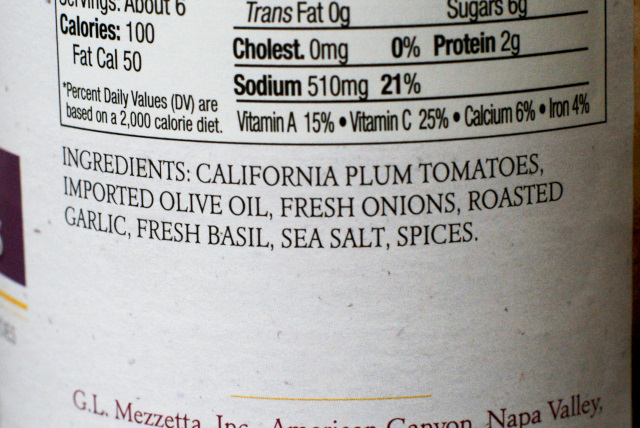 I was genuinely impressed by the freshness and flavor of Mezzetta Pasta Sauce! I try to use high quality products in my cooking and, seriously, this delicious sauce does not disappoint. Made from 100% hand-selected plum tomatoes. No added sugar. No paste. Only the highest quality ingredients. Non-GMO. 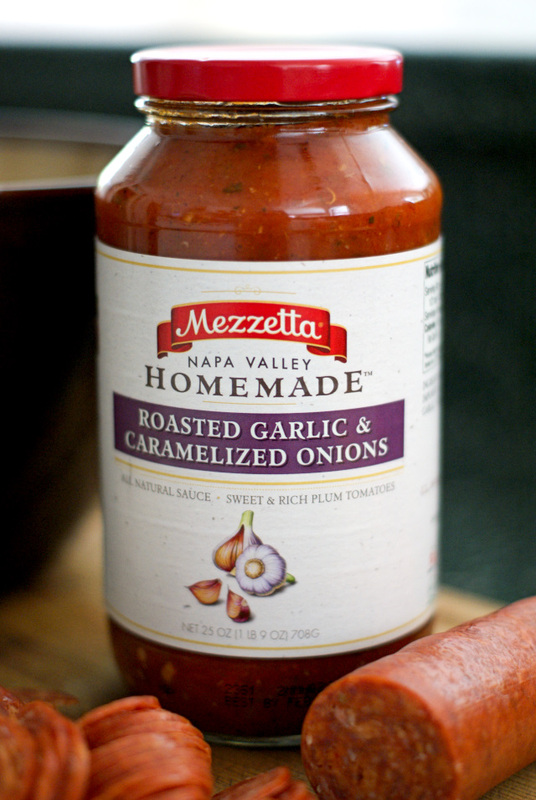 Mezzetta is family owned and operated for over 80 years. Seriously though, you know it's good just by reading the label. No funny stuff, see? The sauce really took this recipe from good to wow! Mezzetta makes six varieties of pasta sauce and I used the Roasted Garlic & Caramelized Onions. I also bought a jar of Marinara and I can't wait to use it for spaghetti night! Lucky for me I won't have to wait long for my family spaghetti night because Mezzetta is sending me a Perfect Pasta Night Kit! How cool, right?! BONUS: You can enter to win a Perfect Pasta Night Kit, too! There will be 1 Grand Prize winner and 10 Runner Up winners! Hurry over and enter because I would LOVE to see one of y'all win! I just know you guys are going to love this recipe and the Mezzetta Pasta Sauce. I am not kidding when I say that I will use this sauce again and again to save time making all of my favorite Italian dishes. And, like me, you don't have to use pasta sauce for just pasta! 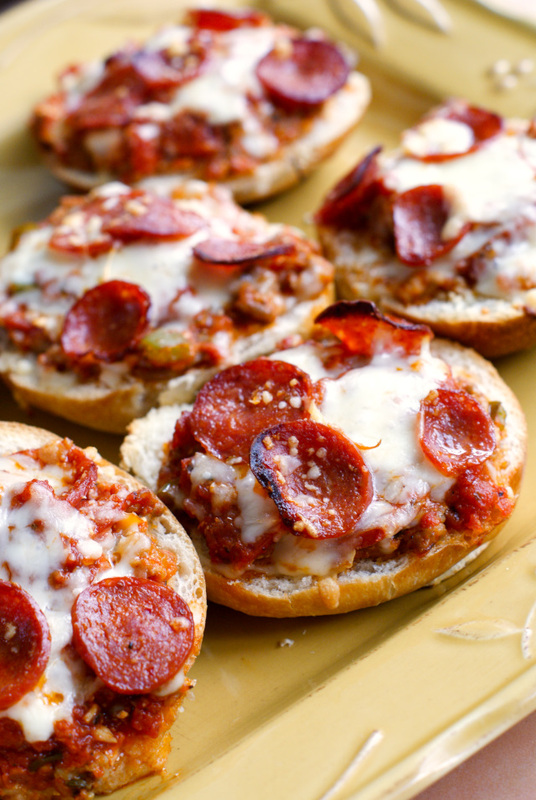 It was fab in this recipe for Stuffed Pizza Bread. Why not try drizzling it over meatballs on a meatball sub or spread it on panini sandwiches? Get creative! No matter how you decide to enjoy Mezzetta Pasta Sauces, be sure to enter to win the Perfect Pasta Night Kit that includes a $500 grocery card! 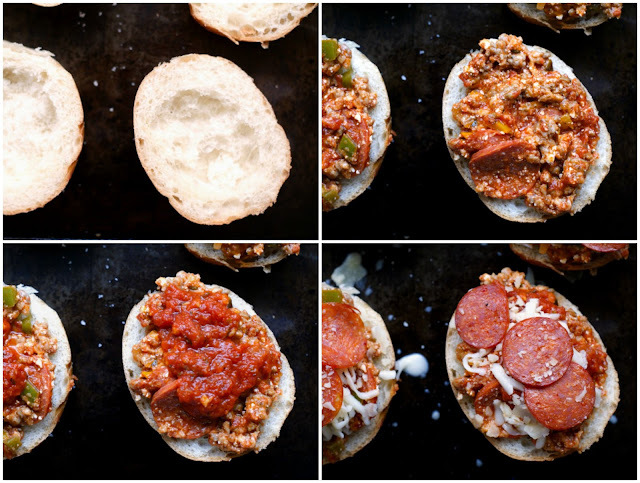 And be sure to make this super hearty sausage and pepperoni-filled pizza bread. Your family will love it! Brown the sausage in a skillet. Transfer to a medium bowl. Add the olive oil, onions and peppers to the skillet and cook until just softened. Add the cooked onions and peppers to the sausage, as well as half of the shredded mozzarella cheese, the ricotta cheese, half of the sliced pepperoni, and 1 cup of the sauce. Mix to combine. Cut the rolls in half and place cut side up on a baking sheet. Scoop out a little of the centers to make a cavity. Spoon the sausage mixture into the bread pieces. Top each one with a spoonful of sauce, the remaining mozzarella cheese, the parmesan cheese, and the remaining pepperoni. Bake in the preheated oven for 10 minutes. Serve with the extra sauce on the side. 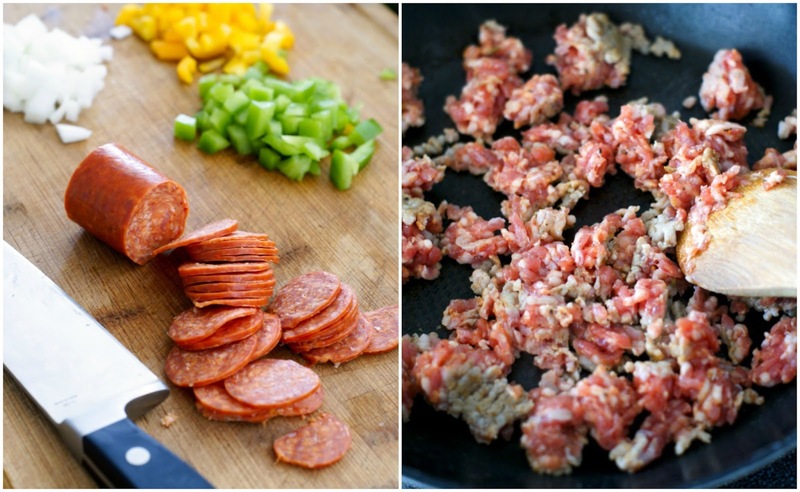 For another layer of meatiness, add a few slices of crumbled bacon to the mix. Yum! Use hashtag #FallforFlavor to join the conversation on social media! Today’s post is sponsored by Mezzetta, but my love for their Napa Valley Homemade pasta sauce is all my own! Hi, Maggie! I just had Mezzetta sauce again last night on pasta and it was so good. I think you'll love it! 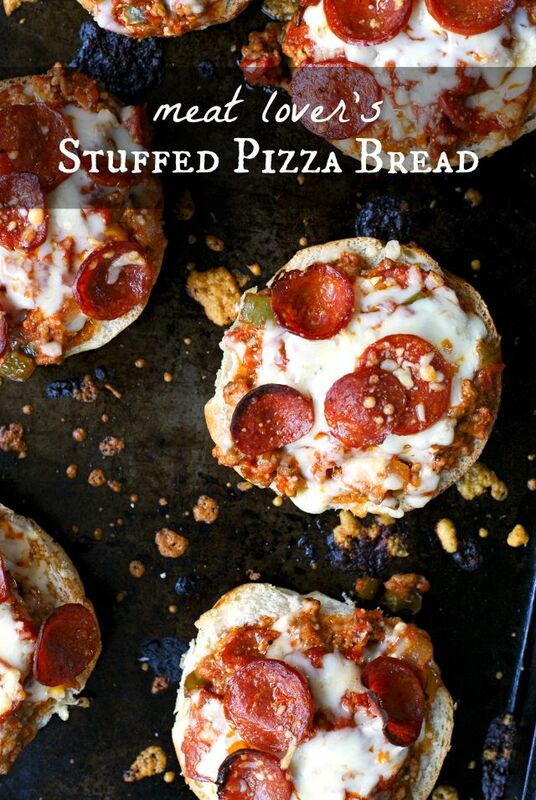 This pizza bread looks amazing, it is pizza night here almost every Friday homemade or ordered in, we love it!! Thanks, Tara! It tasted as good as it looks. :) Yay for pizza night traditions!